Welcome to edition 458 of Insider Weekends. 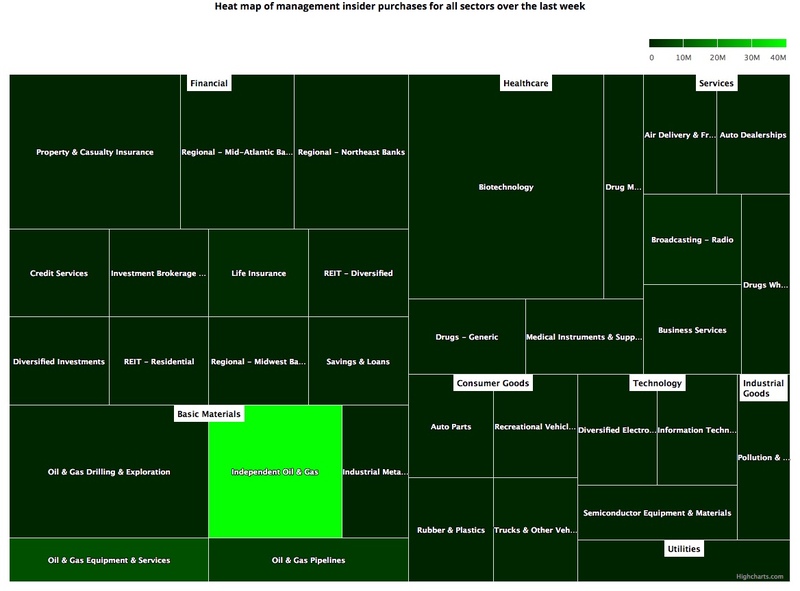 Insider buying increased last week with insiders purchasing $79.08 million of stock compared to $53.36 million in the week prior. This increase in insider buying was mostly driven by a trio of insider purchases in the energy sector as discussed below. Selling also increased with insiders selling $1.87 billion of stock last week compared to $1.58 billion in the week prior. Sell/Buy Ratio: The insider Sell/Buy ratio is calculated by dividing the total insider sales in a given week by total insider purchases that week. The adjusted ratio for last week dropped to 23.66. In other words, insiders sold almost 24 times as much stock as they purchased. The Sell/Buy ratio this week compares favorably with the prior week, when the ratio stood at 29.56. You can view the list of recent insider transactions for New Fortress Energy LLC here. Chairman Emeritus Joseph M. Field acquired 264,257 shares of this radio broadcasting company, paying $5.48 per share for a total amount of $1.45 million. These shares were purchased indirectly by Mr. Field’s spouse and a trust. You can view the list of recent insider transactions for Palo Alto Networks, Inc. here. Chairman President & CEO Stephen T. Winn sold 200,000 shares of this software application company for $60.80, generating $12.16 million from the sale. These shares were sold indirectly by Seren Capital Management, L.L.C. Disclaimer: I hold a long position in Entercom Communications (ETM). Please do your own due diligence before buying or selling any securities mentioned in this article. We do not warrant the completeness or accuracy of the content or data provided in this article.